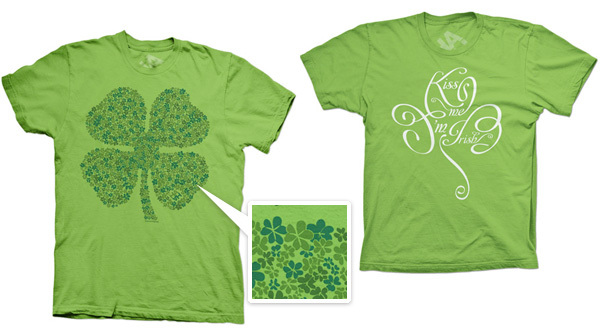 Oooh don’t forget your green this St Paddy’s Day ~ just saw these refreshing on Tcritic from Haha Press. 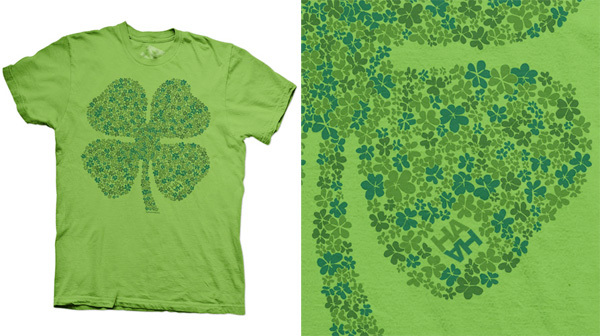 From Haha’s founder, Ian Law, there is the 4 Leaf Clover Patch ~ where there may or may not be a 4 leaf clover mixed in there! 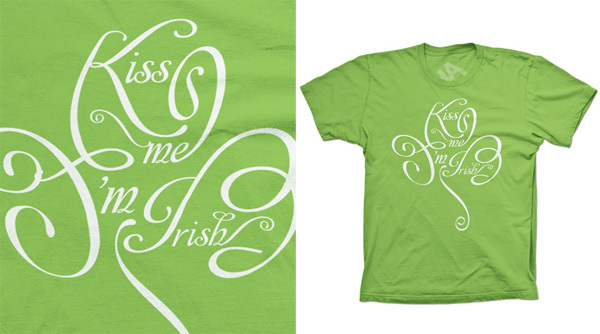 From Soko, there is a gorgeous Kiss Me Clover tee that applies “a typographic treatment to class-up the classic St. Pat’s saying “Kiss Me I’m Irish.” See close ups on the next page! And if you want one, shop quick! Both are in limited runs of 50!